AIR—King of the Cannibal Islands. J. PHAIR, Printer, 67, Gt. Peter St. Westminster. 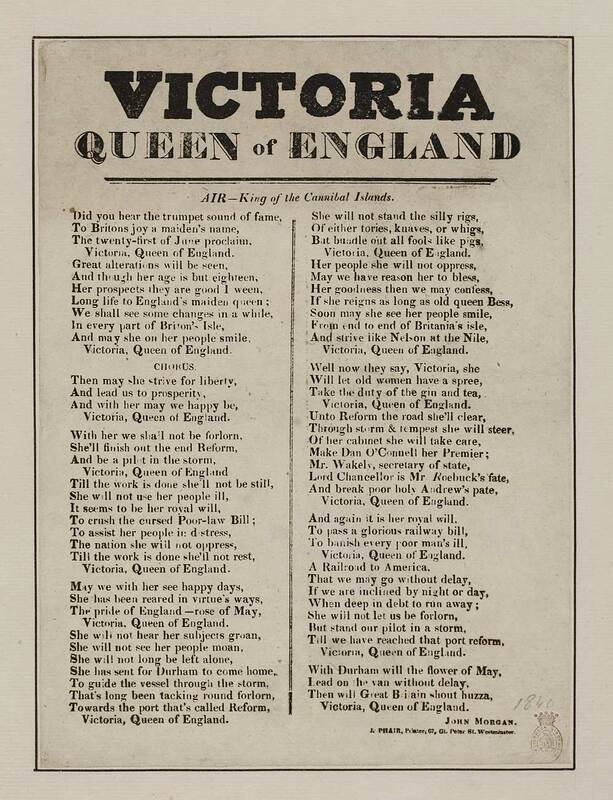 Victoria's coronation took place on June 28th 1838. First line reads: Did you hear the trumpet sound of fame. In two columns. Signed at foot of the second column: John Morgan.